Esri CityEngine, is a 3D modeling software application developed by Esri R&D Center Zurich (formerly Procedural Inc.) and is specialized in the generation of three dimensional urban environments. 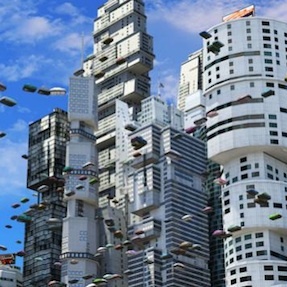 With the procedural modeling approach, CityEngine enables the efficient creation of detailed large-scale 3D city models with merely a few clicks of the mouse instead of the time exhaustive & work intensive method of object creation & manual placement. CityEngine works with architectural object placement & arrangement in the same manner that VUE manages terrain, ecosystems & atmosphere mapping & is equally as diverse in its ability of object manipulation & environmantal conformity/harmony as its VUE counterpart. 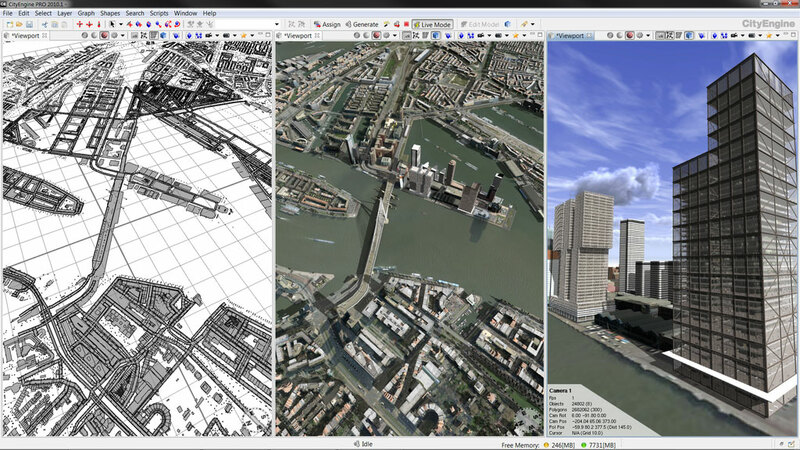 The recent acquisition of CityEngine by Esri is aiming to push the innovations in 3D GIS and Geodesign technology (from Wikipedia). In 2008 I joined the ETH Zurich spin-off company Procedural Inc. as a software architect, and worked the general CityEngine software design, the real-time rendering core, and interactive 3D editing features. Film: DreamWorks, Pixar, Weta Digital, Mr. X Inc., Fold7. Gaming: Blizzard Entertainment, Rockstar Games, Square Enix, THQ, Grasshopper Manufacture. Architecture and Urban Planning: Foster+Partners, Zaha Hadid Architects, SOM, Coop Himmelb(l)au. Government: Singapore Urban Redevelopment Authority, Brisbane City. Education: MIT, Stanford University, Harvard, Carnegie Mellon, ETH Zurich, Fraunhofer Gesellschaft. Others: Microsoft, IBM, NVidia, Samsung. This entry was posted in Research, Software and tagged Architecture, Film, Gaming, Portfolio, Procedural Inc, Procedural Modeling, Urban Modeling on July 31, 2011 by robot.